Did you just download dictations from your voice recorder, but can’t find them? Are you having trouble figuring out how to transfer dictations to your transcriptionist? Is your SpeechExec software giving you an error message? In this article, we’ll be discussing the different types of Philips® SpeechExec tech support available when you work with the technicians here at Certified eSupport (CES). There are a number of different SpeechExec applications available from Philips, so let’s review all of the types that CES supports. If you’re the type of person who figures a problem out by looking at the documentation, we have all sorts of free information available for you to review. Whether you use our search box, or navigate to a specific section of our website, you should be able to find the answers to many of your SpeechExec questions. The knowledgebase is the place where we upload some of the more technical and detailed information—like supported environments and devices, for instance. We also show you how to fix common issues and configure SpeechExec features. You should expect to find articles relating to your operating system, Philips hardware, Dragon integration, and SpeechExec error messages. To get to the Philips section of the knowledgebase, click here and choose the appropriate category from the tag cloud at the top of the screen. The CES blog contains broad information about products and features from several different vendors. While not all of the information is related to SpeechExec, you’ll find several long-form articles that discuss the software in detail. Our Tech Tips section, like the blog, contains articles relating to several different speech solutions. What makes it unique is that you can find detailed step-by-step instructions for more involved SpeechExec feature configurations. Naturally, Philips also produces manuals, FAQs, and guides of their own. We have many of these collected on our vendor resources page, ready to download. 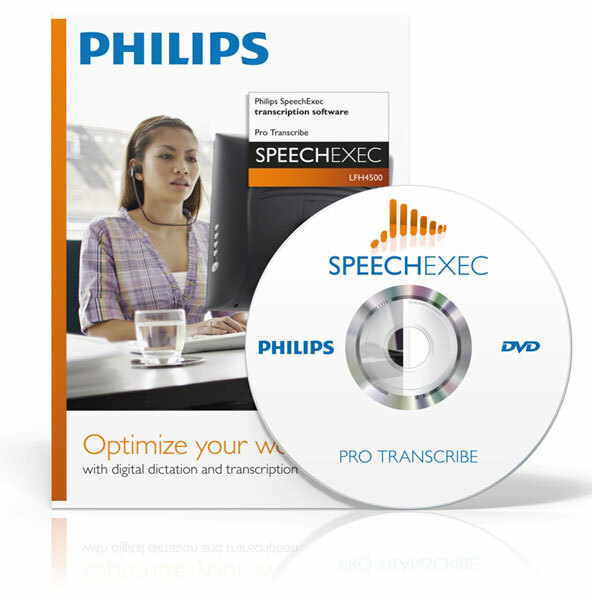 Be sure to choose “Philips” to access our SpeechExec documentation. We have a team of expert technicians dedicated to providing Philips SpeechExec support of all types. Whether you’re a legal transcriptionist trying to configure a foot pedal, or a doctor who’s brand new to voice dictation, we can help you. Our approach to support is to provide you with options. We have several professional services packages to choose from, depending on what you need. Be sure to check out our supported solutions to see all of the speech software and hardware we cover. All of our professional services include technical support, which is assistance we provide for a breakdown of something that was properly installed and configured. This means that if SpeechExec throws an error message or your recorder stops being recognized, you can reach out to us for help. If you need technical support, our Support Me package includes 1 year of unlimited assistance. This can be purchased for each of your team members, or as one office account – so long as there is one point of contact. Please note that Support Me also includes 1 hour of service for installation, configuration, or training. If you need Philips SpeechExec Pro Dictate or Transcribe installed, choose our Assist Me solution, which provides 1 hour of almost anything you need. For more than two installs, consider purchasing additional Assist Me packages. SpeechExec Enterprise (SEE) installations will require a Philips Enterprise support agreement, because SEE is more complex and requires more setup and configuration. Maybe you already have your Philips transcription software installed, but you want some options configured a certain way. Perhaps you need a dictation workflow that enables you to send files to your secretary. Whether you want SpeechExec customized as part of an installation or not, our team can assist. Consider an Assist Me for this service, or feel free to consult with us before you sign up. Once you have your SpeechExec solution in place, we recommend that you complete our Philips SpeechExec training course. We’ll train each member of your team using a remote streaming service, so that they can see what we’re doing and then practice it themselves. This is all covered under our Train Me service agreement. Let Certified eSupport provide you and your office with the services you need to successfully implement a Philips dictation-transcription workflow. We have a wealth of SpeechExec resources and knowledge available to you, and we’re happy to discuss your SpeechExec project with you. Our customers, including medical transcriptionists, lawyers, and healthcare providers, all know that they can reach out to us for a solution to their SpeechExec problem. Why not join them?